Under Ford-VW partnership neither automaker will have stake in other. The automakers also will look into collaborating on autonomous vehicles, electric vehicles and mobility services, Ford CEO Jim Hackett and VW CEO Herbert Diess say. DETROIT – Ford and Volkswagen will jointly develop commercial vans and midsize pickups under a strategic global alliance announced today at the North American International Auto Show here. The automakers also will look into collaborating on autonomous vehicles, electric vehicles and mobility services, Ford CEO Jim Hackett and VW CEO Herbert Diess tell media and financial analysts during a conference call. Hackett and Diess confirm the companies will develop vans and pickups for sale as early as 2022. They do not mention production volumes or manufacturing locations but say existing plants will be utilized. Specifically, Ford will engineer and build midsize pickups for both companies for Europe, South America and Africa. VW will develop and build a so-called city van for Europe. “The alliance will enable the companies to share development costs, leverage their respective manufacturing capacity, boost the capability and competitiveness of their vehicles and deliver cost efficiencies, while maintaining distinct brand characteristics,” Ford and VW say in a news release. Savings from shared investment in vehicle architectures should improve profitability starting in 2023, the automakers say. No cross-ownership between Ford and VW is involved in the agreement announced today. A joint committee headed by the two CEOs, and with an equal number of top executives from each company, will manage the alliance. The announcement does not indicate whether Ford and VW will collaborate on cars and utility vehicles. But the automakers say they are open to considering additional vehicle programs in the future, with more details of the collaboration to be announced in coming months. The companies combined in 2018 to sell 1.2 million light-commercial vehicles globally. They anticipate demand for both midsize pickups and commercial vans to grow over the next five years. Both automakers have established products in both segments. Ford manufactures Transit commercial vans and Ranger midsize pickups, while VW produces Transporter and Caddy vans and Amarok pickups. 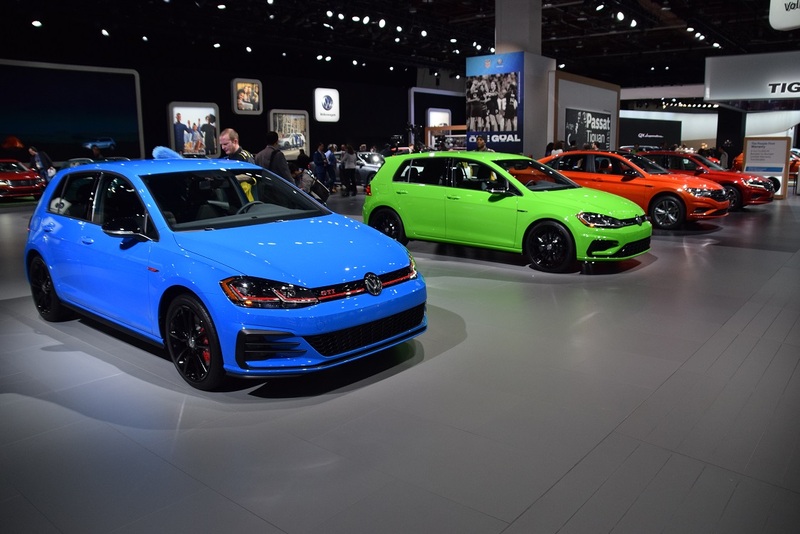 VWs on display at 2019 North American International Auto Show, which opens to public Saturday in Detroit.